It just isn’t Christmas without A Christmas Carol. Experience Charles Dickens’ classic, and this favorite holiday tradition, as Ebenezer Scrooge takes you on a life-changing journey. 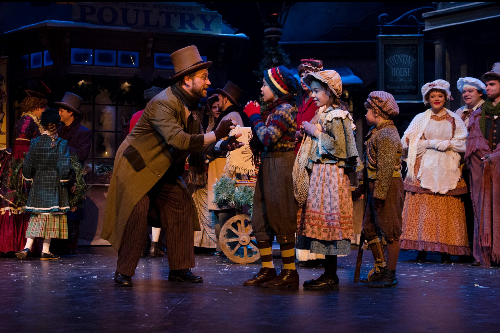 In the story, Scrooge learns the true meaning of the holiday and finds that through helping others, his life becomes enriched as well. The production will be presented by The Omaha Community Playhouse and will feature lovely costumes, exquisite music, beautifully crafted sets and special effects that are second-to-none. The Omaha Community Playhouse in a performing arts organization that enhances quality of life through live theatre, professional touring and arts education. It is based in Omaha, Nebraska.